Paula Cole, better than ever. Thanks for watching. Another cat just wowed me. Again. Amazing, isn’t she? That’s maybe why she played in the white house in front of a president who knew good music (I bet he still does, but he’s not a president anymore). Pink Martini has two female lead singers – but when Saori had a hit with this one in 1969, they weren’t even born yet. My browser (ESR versions of Firefox, mostly – the only more or less “free” one of the big browsers) doesn’t have many plugins installed, but one I couldn’t live without is ublock origin. It gets most of the unwanted crap out of my view, and sites which even try to circumvent this won’t be on my daily list of sites to visit. 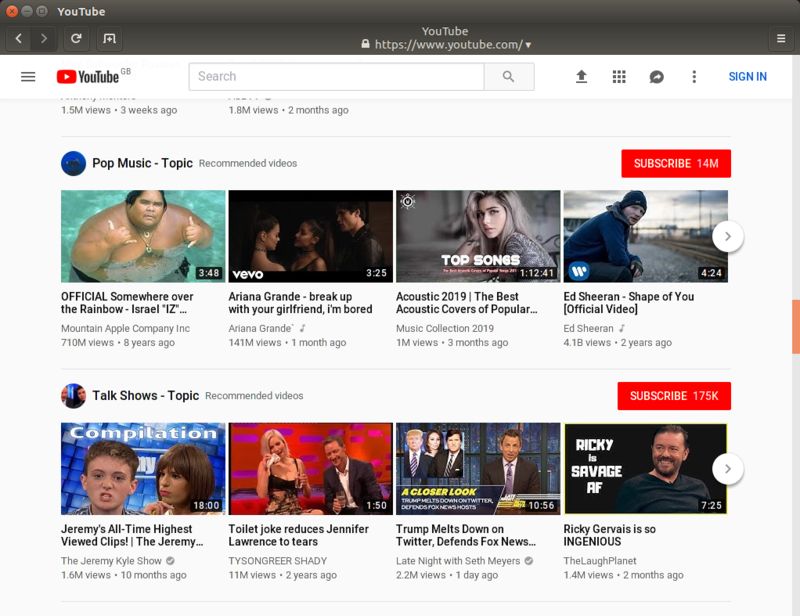 But one thing it did as I just found out is to also reduce the opening (self-) ads from Youtube – you saw a short flickering, then the usual list of new videos comes up. Wondering what might be behind that blocked content, I decided to dig out another browser which I rarely use, and which isn’t personalized (means me not being logged into anything), and which also doesn’t have any plugins installed. At work this morning that was Epiphany. Aha. “Youtube Originals”, yeah I remember, had seen some of these announcements before – looks like they’re trying to become more of a real content provider (to monetize that of course). Ok. Not for me, thanks. I closed that browser after this, sorry, but cannot stand it. 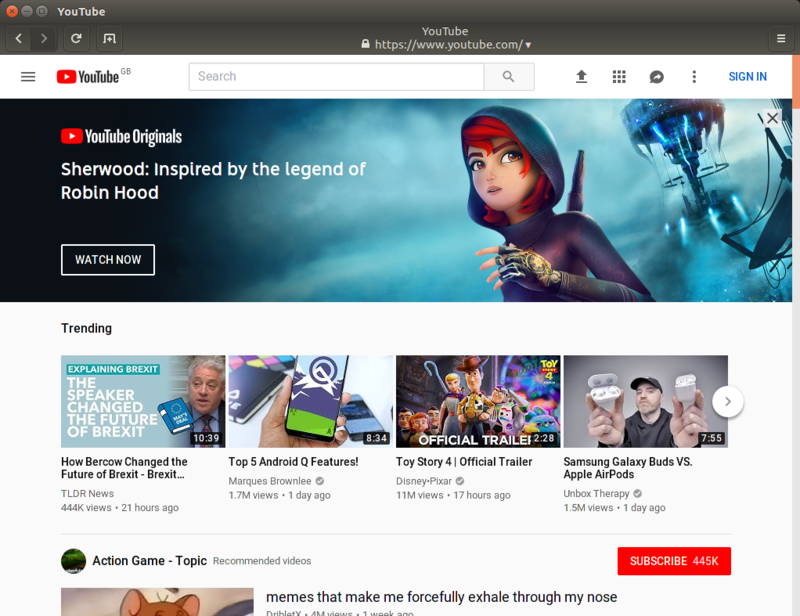 Google / Youtube is mostly wrong about getting my interest, but at least I don’t see crap like that when I’m being logged in. Instead of that, I see the umpteenth recommendation of old Miles Davis stuff, or Ella Fitzgerald just because I listened to *one* of her songs lately – but that is still worlds apart from… THIS (there was no other word coming to my mind, sorry). It’s not only Youtube and Google – Vimeo or DailyMotion or all of the daily news aggregators aren’t much better, no one really has any kind of “artificial intelligence” which might be even worth that description of its own. 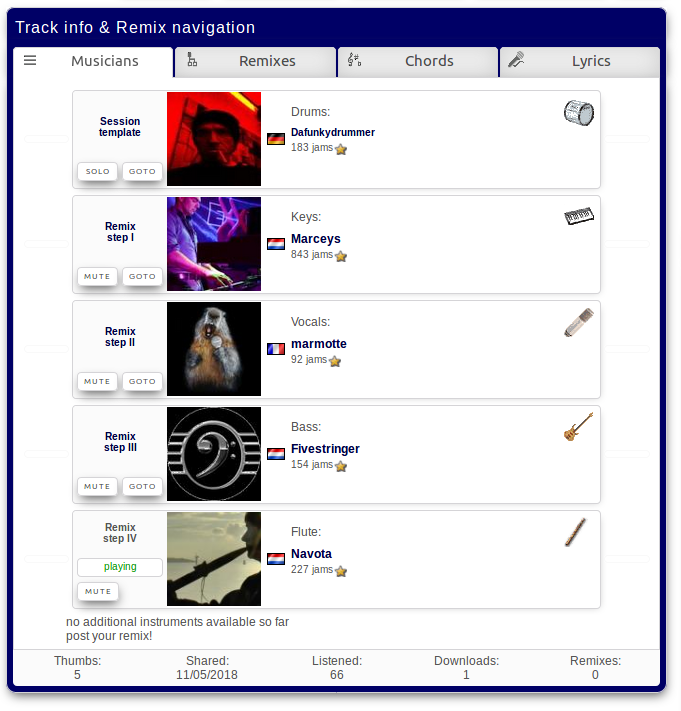 Computers are thick (“Computer sind doof”), as a German pop song of the eighties used to state. Mostly of course, it’s *us* who are programming them. And we want self-driving cars, really? Robots in medicine? Thanks but no thanks. So read all about it today while you can – tomorrow you’ll have to do with English or other languages. Love that African polyrhythmic vibe of this one – the drums, the handclaps, everything. Oh, and the cats of course! As always, thanks for reading / watching / listening.